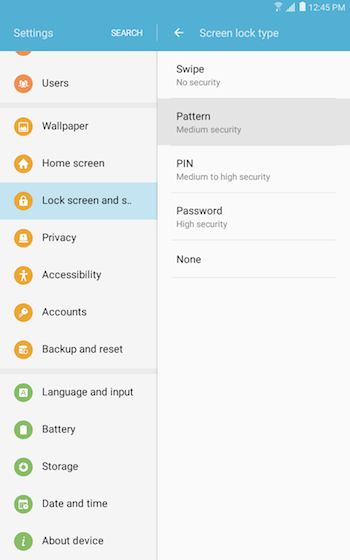 When you set a pattern (draw a pattern with four or more dots) for the screen lock method, you can protect your personal information by preventing others from accessing your device. 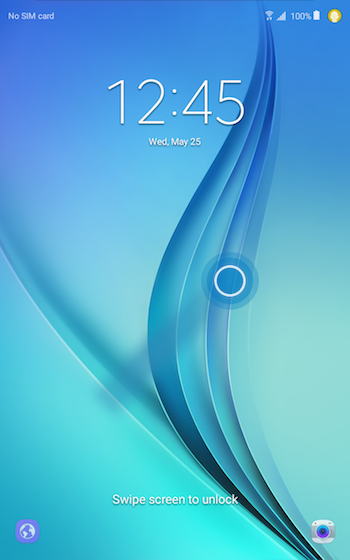 After a screen lock method is selected, the device requires an unlock code whenever unlocking it. Important: Don’t forget your pattern! Draw it down on a piece of paper or file it on another device. Otherwise, you might not be able to access your mobile device or its content. It is not mandatory to set up a lock screen. 3. Scroll to and touch Lock screen and security . 5. If you have previously set up a different type of lock, you will be required to enter your credentials. 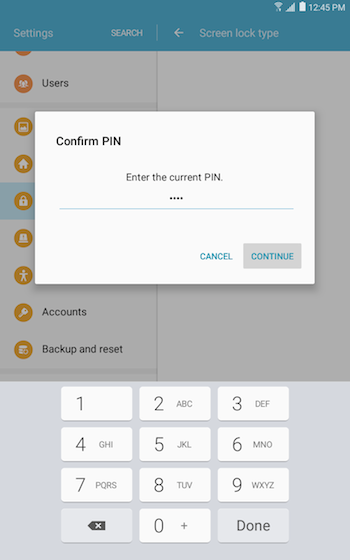 For this example, we have to enter the PIN previously registered and then touch CONTINUE or Done. 7. 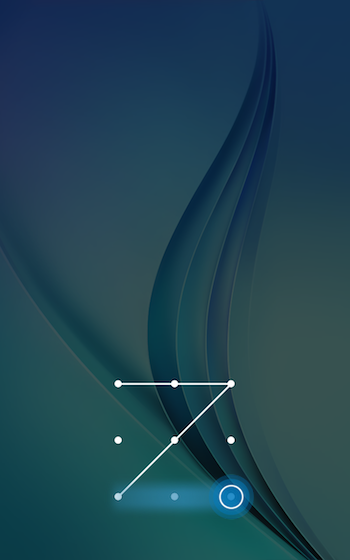 Create a screen unlock pattern by connecting at least four dots in vertical, horizontal, or diagonal directions. Lift your finger from the screen when finished and touch CONTINUE. 8. Draw the pattern again and touch CONFIRM. 9. 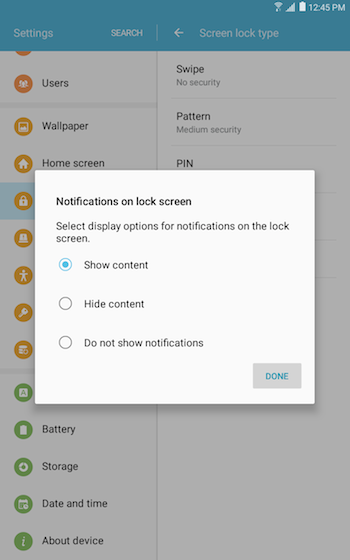 Select how much notification information you want to display on the lock screen, if prompted. Then, touch DONE. 10. Press the Power button twice to access lock screen. 11. 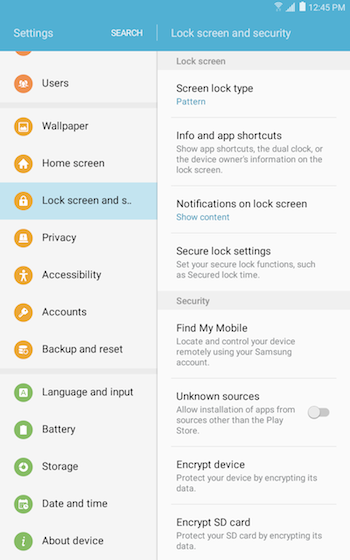 Unlocking your device from the lock screen is a 2 steps process. First, swipe your finger in any direction to unlock the screen. 12. 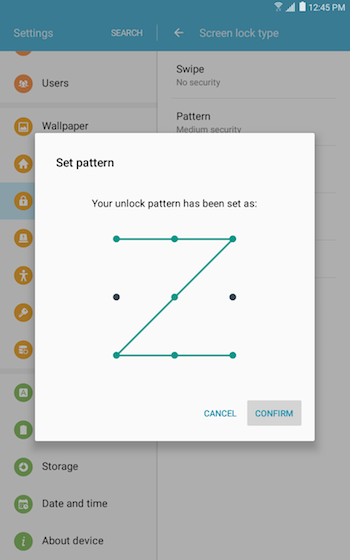 Draw the pattern you registered to unlock the phone. 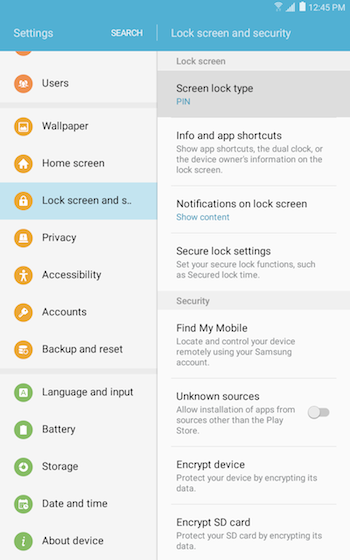 Galaxy Tab E LTE: How do I set up a Lock Screen PIN on my Samsung Galaxy Tab E LTE?